A tasty dressing and suitable for many kinds of pasta! The cashew creamy cheese should be prepared in advance and pulled out of the refrigerator at least half an hour before using it so that it is not too cold: this recipe for best results must be used at room temperature. 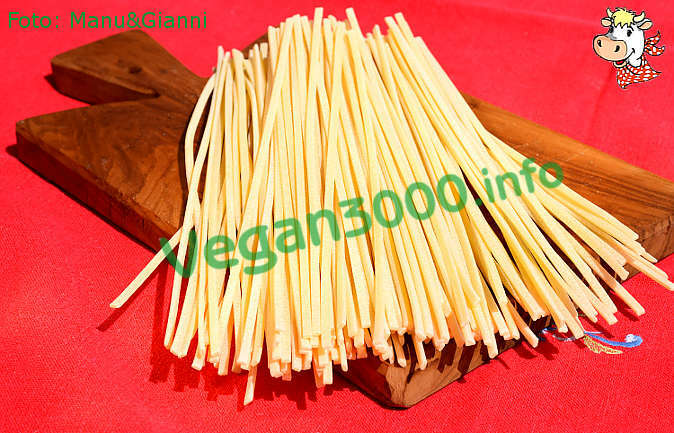 While Cook the pasta in boiling salted water halved or quartered cherry tomatoes. Chop the garlic and fry it briefly in a pan with a little oil, combining almost immediately even the tomatoes; salt them lightly. Add the capers after having rinsed to remove excess salt and stir. 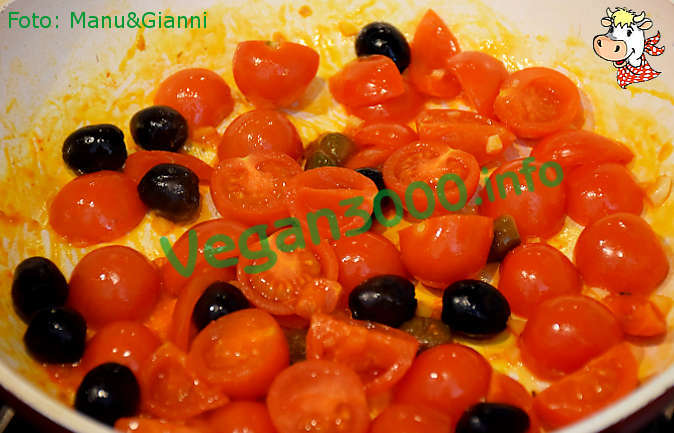 When the vegetation water of cherry tomatoes is a little dry, add the olives and mix well with other ingredients. 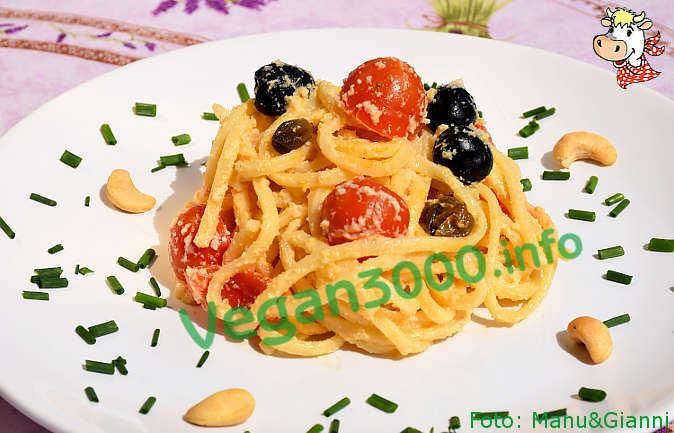 Drain the pasta and toss with the vegetables and cashew creamy cheese: before you can use it to flavor this paste, you can dilute it slightly by adding a tablespoon or two of water or olive oil.